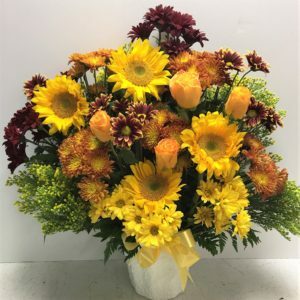 Order our Autumn Splendor bouquet during the months of September, October or November if you would like to add a special, bright fall-ish floral arrangement to a funeral or Celebration of Life. 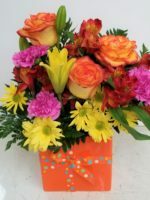 Custom designed with autumn flowers in yellow, gold and bronze, we accent this beautiful piece with bright roses in yellow or orange and add oak leaves as a little bit of flair. 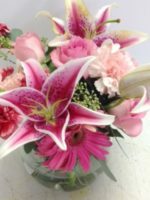 Fresh flowers always soften a service and help begin the healing process. 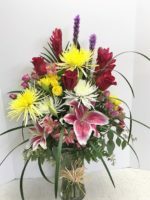 We know this Autumn Splendor is the perfect design that’s not too large, not too small (about 26″ by 26″) and will be appreciated by the family. 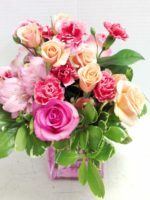 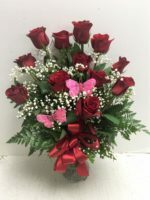 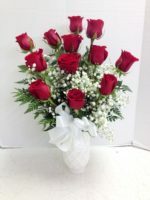 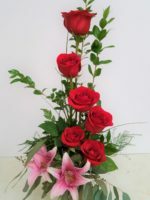 Choose from our large selection of funeral flowers. 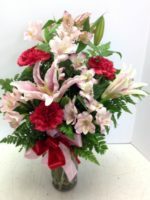 We reserve the right to substitute flowers or colors if necessary.